These long-blooming seldom seen beauties are the highlights of our pots in September/October. 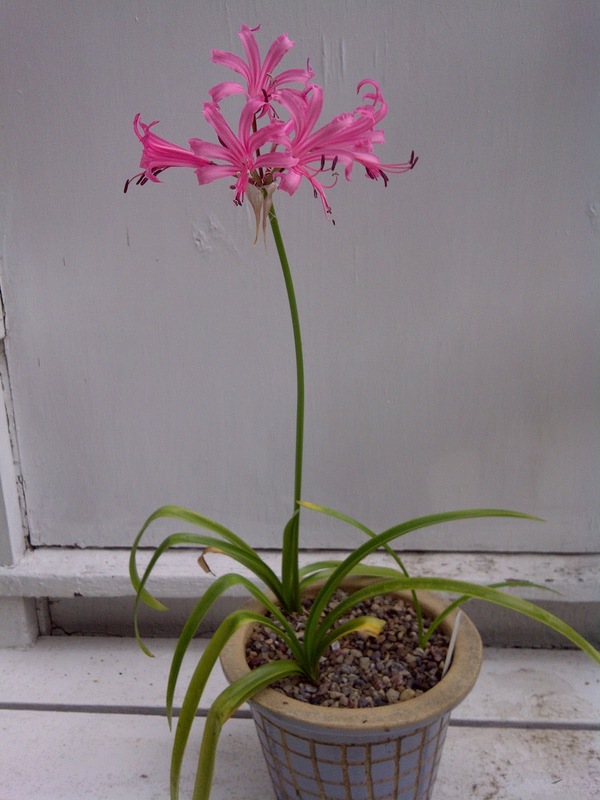 Tall 60cm stems are topped by an open umbel of 3" funnel-shaped flowers with waxy petals. They're super easy to grow in part to full sun and bloom for 4-6 weeks. Fantastic! 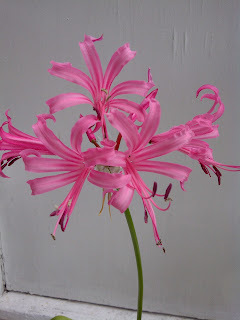 Nerines come from the mountains of Cape Province, South Africa. 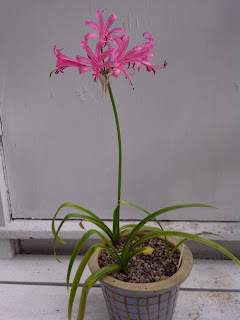 They will continue to grow indoors in a sunny window for the winter.